My sister was such a fan of Judy Blume when she was younger, and she is still, to be honest. Let’s not mention her fan-girl behaviour when she met her at YALC a few years back! (Ha!) I was happy to read another book by Judy. It was a re-read for me as I remember reading this book when I was younger. It’s still as heart-warming as it was back then. Judy Blume was writing before Young Adult was really a thing and this book is a little more than middle grade but not quite young adult. It centres around Margaret who has moved to New York and joined a secret club with some new friends. Margaret and her friends love talking about personal subjects privately with one another. They talk about boys, bras and periods. Margaret doesn’t have a religion and her friends find this hard to believe or understand. What they don’t know is that Margaret privately speaks to God and that’s enough for her. 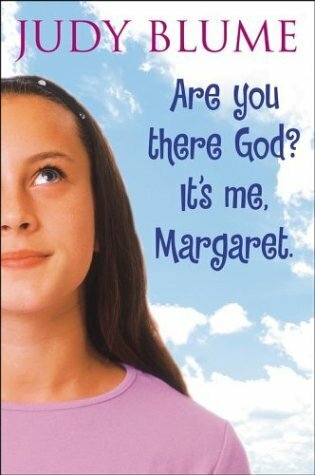 I absolutely loved this book because I could see a lot of Margaret in my young self. I didn’t talk to God but I was desperate to ‘grow up.’ I think having an older sister definitely made me want to be more like her. I knew I was longing to have my period and then when it arrived I was excited… until the cramps started! Ha. Margaret is such a relatable character to many young girls. I really don’t think this book has aged much at all. Obviously, there’s more choice for sanitary products, but aside from that it’s still very relevant. I’m reading it decade on from its release and it doesn’t seem dated at all. True testament for superb writing from Judy Blume! Fab review it’s makes me want to read it as well! Thank you! 🙂 It’s so fun!